new joefix catalog available 6 languages. 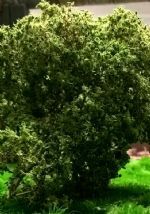 jungle plants set, content: Varity of plastic pre coloured green jungle plants, bush, vines, trunk and ca glue. New! Vietnam corner City house 3 (NR 362.35) and Vietnam City corner House 4 (nr363.35). 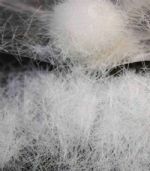 Content: Resin, keramik,pe parts ca glue included. lambro 550 scale:1/35 is available now content:resin, pe,plastic ,Metal parts. Lenses and superglue included! Factory 1/35 in several sections can Be combinated like You need. extra detail set and extra street sections with tracks available. 10/10/2015 - steel masters thématique: Koursk n°31 "Panzerjager-Ferdinand"
see photo's, the added leafs are smaller but more realistic and glue , sea foam, manual are all in the box. Vietnam urban decoration set chairs and tables. vintage 60-70 look. Content pe parts and metal wire. new diorama in scale model addict magazine issue 4 page 46-53 :diorama "tea time after the battle" by Jorge Porto del Corral. Pollard willow set item nr 180.035. 20/12/2013 - merry christmas and best wishes for the new year 2014! Vrolijk kerstfeest en de beste wensen voor het nieuwe jaar 2014 ! Joeux Noël et meilleurs voeux pour la nouvelle année 2014 ! Merry christmas and best wishes for the new year 2014 ! Frohe Weihnachten und die besten Wünsche für das Neues Jahr 2014 ! Feliz Navidad y recuerdos por el Año Nuevo 2014 ! Buon Natale ed auguri per il nuovo anno 2014 ! 20/12/2013 - Steelmasters magazine publication José Brito "seconde main"
steelmasters / issue 122 / Décembre -Janvier 2014 / page 18-26 "seconde main - CMP C15A lorry van truck" (By : José Brito) products joefix - studio used: n° 123 grass tufts . 30/11/2013 - TMMI magazine publication José Brito "Winter transport"
TMMI magzine / issue 93 / Januari 2014 / page 28-36 "Winter transport" (By : José Brito) products joefix - studio used: n° 105 brown leaves and n° 108 Autumn coloured leaves . 1/11/2013 - Modell Fan magazine publication José Brito "Starke Notlösung"
Modell Fan / nr 11 / november 2013 / page 43-53 "Starke Notlösung " (By : José Brito) products joefix - studio used: n° 180.035 set pollard willows . 27/10/2013 - publication in AOM magazine by Kristof Pulinck "simpel grondwerkje maken"
AOM magzine / issue 31 november - december 2013 / page 34 -39 "simpel grondwerkje maken" (By : Kristof Pulinck) products joefix - studio used: n° 113 green leaves on branches / n° 117 green grass tufts / n° 903 seafoamAOM. the natural product jfx nr 110 is changed by an plastic alternative! Jfx 111 is yet again availlable! 18/04/2013 - publication in AOM magazine by Kristof Pulinck "Axis captured KV-47 Kampflauferfaust"
AOM magzine / issue 28 mei - juni 2013 / page 26 -37 "Axis captured KV-47 Kampflauferfaust" (By : Kristof Pulinck) products joefix - studio used: n° 117 green grass tufts. 18/03/2013 - publication in AOM magazine by Nico Monnoye "joefix-studio sparren"
AOM magzine / issue 27 maart april 2013 / page 16-18 "joefix-studio sparren" (By : Nico Monnoye) products joefix - studio used: n° set 182.035 pine set . 18/03/2013 - publication in AOM magazine by Jamie Haggo "South pacific theatre"
AOM magzine / issue 27 maart april 2013 / page 38-45 "South pacific theatre" (By : Jamie Haggo) products joefix - studio used: n° 113 / 114/ 117/ 149 . Hello, the Spielwarenmesse International Toy Fair Nürnberg will open its doors from 30 January to 4 February 2013. Discover a world of trends and novelties. On the world's leading trade fair for toys trains and scale modelling products from all over the world. More than 2,700 exhibitors presenting brand new products to the public and press. At the fair, you will also find our company joefix-studio highlights among the 70,000 brand new products on exhibit. Be sure to visit our stand. Scrutinize our newest products and examine our classics as well! You can find us: in hall 4A at stand B235. We would be pleased to talk with you personally! Why not call us our send us a mail, in advance 0032 497 212166 or info@joefix-studio.be and arrange an appointment now to facilitate your fair scheduling? Best regards, joefix-studio team, Joeri. 12/12/2012 - merry christmas and best wishes for the new year 2013! Vrolijk kerstfeest en de beste wensen voor het nieuwe jaar 2013 ! Joeux Noël et meilleurs voeux pour la nouvelle année 2013 ! Merry christmas and best wishes for the new year 2013 ! Frohe Weihnachten und die besten Wünsche für das Neues Jahr 2013 ! Feliz Navidad y recuerdos por el Año Nuevo 2013! Buon Natale ed auguri per il nuovo anno 2013 ! STEEL MASTERS / nr 11/ 2012 / p46 - 51 "Chasseur de char nordique " (By : Frédérik Astier) products joefix used: nr 851 neige en poudre. Joefix product nr 102 and 105 used to decorate a diorama in the magazine art of modelling nr 22, from page 38 - 47. Build en written by Nico Blomme. wij verhuizen onze hoofdzetel vanaf 24 mei 2012 naar Moerkerkse steenweg 451, 8310 Sint - Kruis. We move our Head Office from 24 mai 2012 to Moerkerkse steenweg 451, 8310 Sint - Kruis. STEEL MASTERS / nr 111/ april-mai 2012 / p46 - 51 "Chasseur de char nordique " (By : Frédérik Astier) products joefix used: n°123 touffes d'herbe jaune est les touffes vert n°149, set des sapins 182.035 . 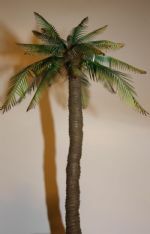 New range of palm trees in 1/35 and 1/48 scales , resin trunks and lazerd coloured palm leafs. Item nr 184.35 (see photo) - 184.48 . ///More info you can find under the item numbers on the website! 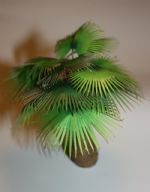 New range of palm trees in 1/35 and 1/48 scales , resin trunks and lazerd coloured palm leafs. Item nr 181.35 (see photo) - 181.48 - 183.35 - 183.48. ///More info you can find under the item numbers on the website! 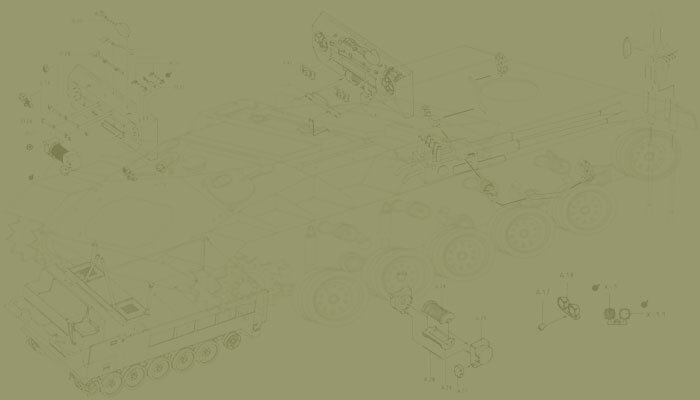 Here is presentaion of 2 new items for 2012 of the joefix range: item 310 copy of a production plate from a K5 (E)railgun(see foto)/// item 311 copy of a production plate from a Karl Möser railgun /// more details you can find under the item nr on the website! STEEL MASTERS / nr 107/ septembre - octobre 2011 / p14 - 22 "halte Semovente M47/32balkanique " (By : Frédérik Astier) products used: n°123 touffes d'herbe jaune . N'hésitez pas à venir à l'expo a la boutique de Tonysshop, l'équipe joefix-studio sera là Juin 18 à 19 pour des démonstrations de produits. 31ème mondial du modelisme , Porte de Versailles, hall 3, Paris (sur plus de 22.000m²) Please visit us at the stand of tonysshop. The joefix-team will be there for demo's of the products the 18-19 juin. 31th mondial for scale modelling, porte de versaille , hall 3 , Paris. (More than 22.000 square meters of scale modelling). Finnaly we are ready with the change from our small warehouse in Brugge to a lot bigger one in the city of Gent. All goods are transfered and located in the new warehous. New we can give our dealers and importer/ distributors a better service. STEEL MASTERS / nr 105/ mai - juin 2011 / p52 - 60 "type 1 HO-KI" (By : Frédérik Astier) products used: n°111 végétation fine / n°117touffes d'herbe vert / n°964 chaîne. STEEL MASTERS (les thématiques)/ nr 13/ Avril 2011 / p26 - 35 "patrouille dans les Ardennes" (By : Frédérik Astier) products used: n°851 neige artificielle / n°903 écume de mer . STEEL MASTERS / nr 103/ février - mars 2011 / p48 - 55 "Le sturmi de marjatta" (By : Frédérik Astier) products used: n°111 végétation fine / n°114 longues graminées est n° 143 - 144 des touffes d'herbe automne . Un nouveau diorama dans STEEL MASTERS (les thématiques)/ nr 12/ Janvier 2011 / p54 - 63 "Heimat" (By : Frédérik Astier) products used: n°105 ,903 , 143 , 144 , 180048.
hello this are the new items for januari 2011. for prices and more info follow the up dates on the jfx site or drop us a mail. on the photo you can see the 3 new kinds of small chain nr 966 , 967 , 968! 2 new platic leaves sets are new in the range nam bush. Item nr 213 and 214. On the photo you see item 213. 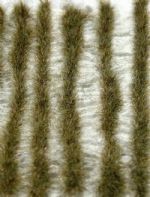 3 kinds (colours) of camouflage nettings are now part of the joefix-range. 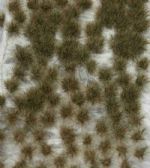 On the photo you see the grey couloured camouflage netting. 8/12/2010 - merry christmas and best wishes for the new year 2011! Vrolijk kerstfeest en de beste wensen voor het nieuwe jaar 2011 ! Joeux Noël et meilleurs voeux pour la nouvelle année 2011 ! Merry christmas and best wishes for the new year 2011 ! Frohe Weihnachten und die besten Wünsche für das Neues Jahr 2011 ! Feliz Navidad y recuerdos por el Año Nuevo 2011! Buon Natale ed auguri per il nuovo anno 2011 ! Mr Tony Canfora has used several joefix products on his diorama for publication in Tamiya magazine december 2010 issue 182 (info@canfora.se) "on the road to Singapore" is the name of the diorama and you can find it on page 52 - 57 on TMMI 182. Used joefix items are nr 106 / 109 / 111 / 113 / 117 /124 / 130 / 206 / 207 / . 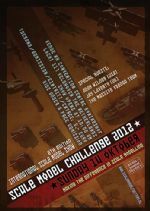 hello, the new joefix-studio promotion stand at the exhibition euro scale modelling of 30 october (Eindhoven). Un nouveau diorama dans STEEL MASTERS (les thématiques)/ nr 11/ Octobre 2010 / p48 - 57 "Les Canadiens percent la ligne Siegfried (RAM BADGER)" (By : Frédérik Astier) products used: n°105 des feuilles mortes brune. On the last issue nr 180 of Tamiya model magazine ( october 2010 page 66)the editor Nicholls Marcus give us the: "editor's choice " for the pollard willow set in 1/48 scale!! 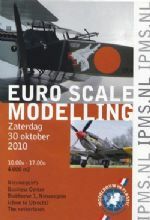 NED: Wij nemen deel met een demonstratie stand op de beurs "Euro Scale Modelling " op 30 oktober de Nieuwegein's business center, Blokhoeve 1, Nieuwegein (Utrecht) , Nederland. Op de stand zullen alle produkten te zien en te koop zijn en zullen er demo's zijn. Kom gerust eens langs! 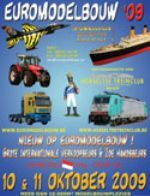 --------------------------------------------------------------- ENG: We participate with a stand at the exhibition "Euro Scale Modelling " on October 30, NBC, Blokhoeve 1, Nieuwegein , Netherland. On the stand, all products will be seen-sold and there are demos. Feel free to visit us. ------------------------------------------------------------------------------- FR: Nous collaborons avec un stand à "Euro Scale Modelling " sur Octobre 30, NBC, Blokhoeve 1, Nieuwegein , Netherland. Sur le stand, tous les produits seront vus et vent ,il ya des démos. Hésitez pas à nous rendre visite. ------------------------------------------------------------------------------ DU: Wir nehmen teil mit einem Stand auf der Ausstellung "Euro Scale Modelling " am 30. Oktober, NBC , Blokhoeve 1, Nieuwegein Niederlande . Am Stand sind alle Produkte zu sehen: kaufen und wir geben Demos. Fühlen Sie sich frei, uns zu besuchen. NED: Wij nemen deel met een demonstratie stand op de beurs "scale modelfactory" op 17 oktober NH Convention Centre "Koningshof",Locht 117 5504 RM Veldhoven , Nederland. Op de stand zullen alle produkten te zien zijn en zullen er demo's zijn. Onze stand in samen werking met military models and accessories (Rob Trommelen) . Kom gerust eens langs! --------------------------------------------------------------- ENG: We participate with a stand at the exhibition "scale modelfactory" on October 17, NH Convention Centre "Koningshof", Locht 117 , 5504 RM Veldhoven , Netherland. On the stand, all products will be seen and there are demos. Our stand in cooperation with military models and accessories (Nederland) . Feel free to visit us. 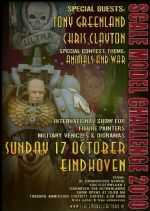 ------------------------------------------------------------------------------- FR: Nous collaborons avec un stand à "scale modelfactory" sur Octobre 17, NH Convention Centre "Koningshof", Locht 117 , 5504 RM Veldhoven , Netherland. Sur le stand, tous les produits seront vus et il ya des démos. Railexpo.fr" op 24 en 25 November Exhibition Saint Martin de Pontoise, 95304 Cergy Pontoise. military models and accessories (Hollande). Hésitez pas à nous rendre visite. ------------------------------------------------------------------------------ DU: Wir nehmen teil mit einem Stand auf der Ausstellung "scale modelfactory" am 17. Oktober,NH Convention Centre "Koningshof", Locht 117, 5504 RM Veldhoven , Niederlande . Am Stand sind alle Produkte zu sehen und wir geben Demos. Unser Stand in Zusammenarbeit mit der Militär-Modelle und Zubehör (Nederland). Fühlen Sie sich frei, uns zu besuchen. Mr Tony Canfora has used several joefix products on his diorama for publication on NORDIC EDGE VOL.3 (info@canfora.se) "Firefly IC" is the name of the diorama and you can find it on page 64 - 69 on his nordic age vol 3. Used joefix items are nr 106 / 118 / 143 / 144. STEEL MASTERS / nr 100/ août - septembre 2010 / p48 - 57 "Le chainon manquant" (By : Frédérik Astier) products used: n°111 végétation fine / n°114 longues graminées est n° 144 des touffes d'herbe automne . we want to annonce that the old item nr 129 (not in stock since nov. 2008) is replaced by a new item number 129. see the new catalog or search the website for more product specifications. /// Wij willen melden dat produkt met nr 129 (niet in voorraad sinds Nov. 2008) wordt vervangen door een nieuw produkt nummer 129. 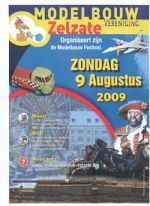 Zie de nieuwe catalogus of zoek via onze website naar meer productspecificaties. /// Nous voulons à l'annonce ce le vieux nr 129 d'article (pas en stock depuis novembre. 2008) est remplacé par un nouvel article le numéro 129. voyez le nouveau catalogue ou recherchez le site Web plus de caractéristiques de produit. ///Wir wünschen zum diesem annonce das alte Einzelteil nr 129 (nicht auf Lager seit November. 2008) wird durch ein neues Einzelteil Nr. 129 ersetzt. sehen Sie den neuen Katalog oder suchen Sie die Web site nach mehr Produktbeschreibungen./// deseamos al annonce ese el viejo nr 129 del artículo (no en la acción desde el noviembre. 2008) es substituido por un nuevo artículo número 129. vea el catálogo nuevo o busque el Web site para más especificaciones de producto. /// desideriamo al annonce quel il vecchio nr 129 dell'articolo (non in azione da novembre. 2008) è sostituito da un nuovo articolo il numero 129. veda il nuovo catalogo o cerchi il Web site più specifiche di prodotto. STEEL MASTERS les thématiques/ nr 9/ april 2010 / p38 - 47 "Derniers combats pour la 20. panzer" (By : Frédérik Astier) products used: 105 brown leafs , 108 autumn leafs 8 colours, 903 filigaan (seafoam). 11/12/2009 - merry christmas and best wishes for the new year 2010! Vrolijk kerstfeest en de beste wensen voor het nieuwe jaar 2010 ! Joeux Noël et meilleurs voeux pour la nouvelle année 2010 ! Merry christmas and best wishes for the new year 2010 ! Frohe Weihnachten und die besten Wünsche für das Neues Jahr 2010 ! Feliz Navidad y recuerdos por el Año Nuevo 2010! Buon Natale ed auguri per il nuovo anno 2010 ! 2 pdf's of jfx snow powder 851 and creating gel 801 publiced in the magazine Art Of Modelling . NED: Wij nemen deel met een stand op de beurs "scale modelfactory" op 18 oktober de Eindhovense school, Von Flotowlaan 1, 5653 AD Eindhoven , Nederland. Op de stand zullen alle produkten te zien zijn en zullen er demo's zijn. Onze stand in samen werking met military models and accessories . Kom gerust eens langs! --------------------------------------------------------------- ENG: We participate with a stand at the exhibition "scale modelfactory" on October 18, de Eindhovense school, Von Flotowlaan 1, 5653 AD Eindhoven , Netherland. On the stand, all products will be seen and there are demos. Our stand in cooperation with military models and accessories (Nederland) . Feel free to visit us. ------------------------------------------------------------------------------- FR: Nous collaborons avec un stand à "scale modelfactory" sur Octobre 18, de Eindhovense school, Von Flotowlaan 1, 5653 AD Eindhoven , Netherland. Sur le stand, tous les produits seront vus et il ya des démos. Notre stand en colaberation de military models and accessories (Hollande). Hésitez pas à nous rendre visite. ------------------------------------------------------------------------------ DU: Wir nehmen teil mit einem Stand auf der Ausstellung "scale modelfactory" am 18. Oktober, de Eindhovense Schule, Von Flotowlaan 1, 5653 AD Eindhoven, Niederlande . Am Stand sind alle Produkte zu sehen und wir geben Demos. Unser Stand in Zusammenarbeit mit der Militär-Modelle und Zubehör (Nederland). Fühlen Sie sich frei, uns zu besuchen. NED: Wij nemen deel met een stand op de beurs "euro modelbouw" op 10 en 11 oktober Limburghal in Genk. Op de stand zullen alle produkten te zien zijn en zullen er demo's zijn. Onze stand nr 36 HAL B . Kom gerust eens langs! --------------------------------------------------------------- ENG: We participate with a stand at the exhibition "Euro scale modelling" on October 10 and 11, Limburghal in Genk (Belgium). On the stand, all products will be seen and there are demos. Our stand hal B No. 36. Feel free to visit us. ------------------------------------------------------------------------------- FR: Nous collaborons avec un stand à "exposition Euro modelbouw" sur Octobre 10 et 11, Limburghal à Genk (Belgique). Sur le stand, tous les produits seront vus et il ya des démos. Notre stand se situe en hal B nr 36. Hésitez pas à nous rendre visite. ------------------------------------------------------------------------------- DU: Wir nehmen teil mit einem Stand auf der Ausstellung "Euro Modelbouw" am 10 und 11 Oktober, LImburghal ,Genk ,Belgien . Am Stand sind alle Produkte zu sehen und wir geben Demos. Unser Stand im Halle B nr 36. Fühlen Sie sich frei, uns zu besuchen. Vanaf nu is er ook nieuws te vinden op onze site.